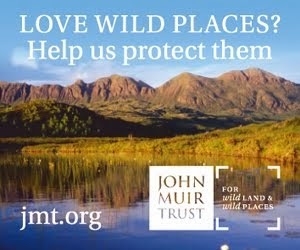 As 2012 draws to a close I’ve been thinking about the trips I made and the gear that helped make them enjoyable. Old favourites dominated of course but I was impressed by some new gear – by which I mean items new to me, not necessarily ones new in 2012. Here are ten of them, in no particular order. Having heard much praise from experienced backpackers about this deceptively simple shelter I decided I really must try it for myself. Initially I used the cuben fibre version (thanks to Tony Hobbs for the loan). Whilst I could see the advantages of the design I wasn’t convinced by its adaptability. This turned out to be due to the fabric, as shown in a comparative pitching test with Colin Ibbotson. 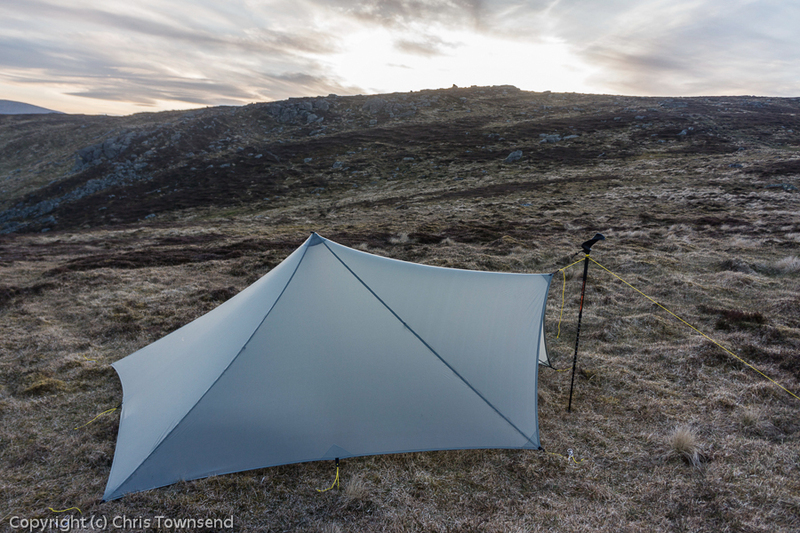 The silnylon version proved to be much better and I used one on the 2012 TGO Challenge crossing of the Scottish Highlands, where it coped extremely well with some really wild weather. I relished the space as well as the strength and it’s now my favourite shelter. The Trailstar is just a shaped tarp with no floor or inner. Initially I used it with a flat groundsheet, which was okay as long as I was careful to keep puddles off it and gear on it. 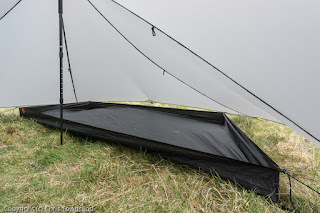 The OookTub, a groundsheet with short walls and an asymmetric shape designed to fit the Trailstar, proved to be much more versatile, as I discovered on the TGO Challenge, when I often camped on sodden ground. Later in the year, when the midges came out to play, I replaced the OookTub with an OookNest inner, which kept them out. 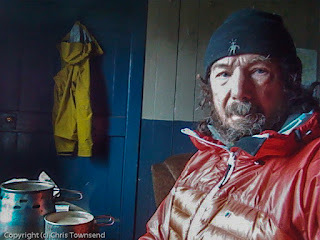 The very wet TGO Challenge also gave me the opportunity to really test the water-resistant down used by Berghaus. 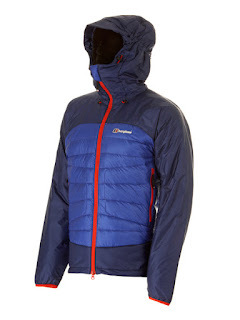 On that trip I took the Mount Asgard Hybrid jacket, which has Primaloft on the shoulders and arms and down in the body. I quickly found that I didn’t have to worry about getting it damp as the performance was hardly affected at all and it dried quite quickly. I also found there was a big psychological advantage – I didn’t need to worry about keeping it dry. 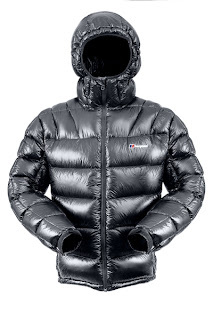 This autumn and early winter I’ve also been trying the much warmer Ramche jacket, which I really like. Last June I was invited to be a judge for the ScandinavianOutdoor Gear Awards, which involved testing the gear in the Swedish mountains. 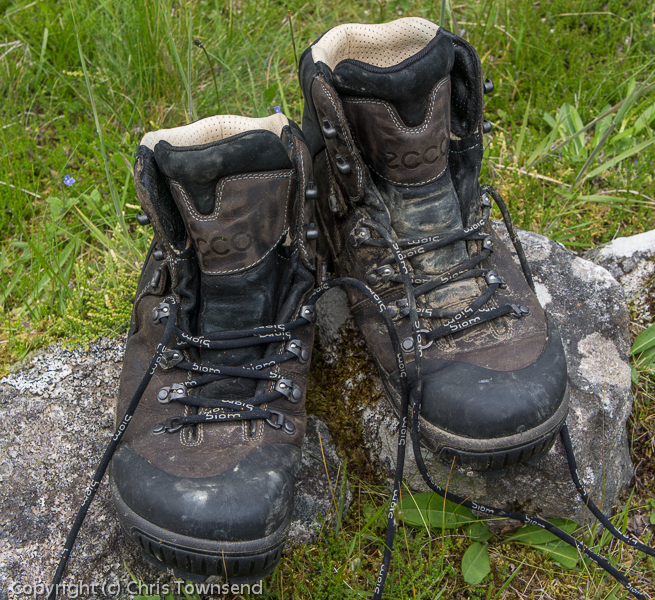 There was much excellent gear nominated for the award but I was particularly impressed with the eventual winner, the Ecco Biom Hike boots, which I found immediately comfortable with a good grip and supportive uppers. 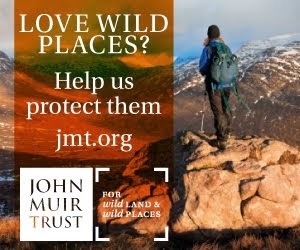 I’ve since worn them a great deal in the Cairngorms and remain impressed. Some items of gear take time to have an effect on me. This pack was an example. I’d used it before and quite liked it but never really felt it was anything special. 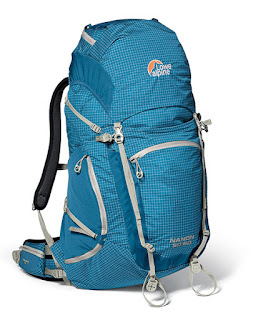 Then I took it on a couple of 2012 trips and was surprised to discover that I was really impressed with the features, the carrying comfort and the light weight. I’ve never seen much mention of this pack from lightweight backpackers. I think it deserves more attention. I’ve always rated Rab sleeping bags as some of the best around but I hadn’t tried one of the new Infinity range until the 500 was nominated for the TGO Awards (in which it was Highly Commended). When I did try it I was very impressed. The bag has a new baffle system to maximise loft and really is very warm for the weight as well as being very comfortable. The NEX 7 was covered in detail in this post, which turned out to be the most popular of the year. I’m still enthralled with it, especially the compact size and weight. I now have the new pancake 16-50mm zoom lens to go with it, which means I really can carry it in a jacket pocket (and am looking for a smaller padded case). Being able to produce the best quality images I’ve ever had from such a small camera is wonderful. 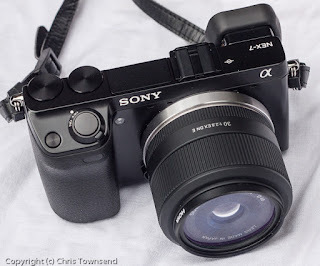 No more DSLRs for me! 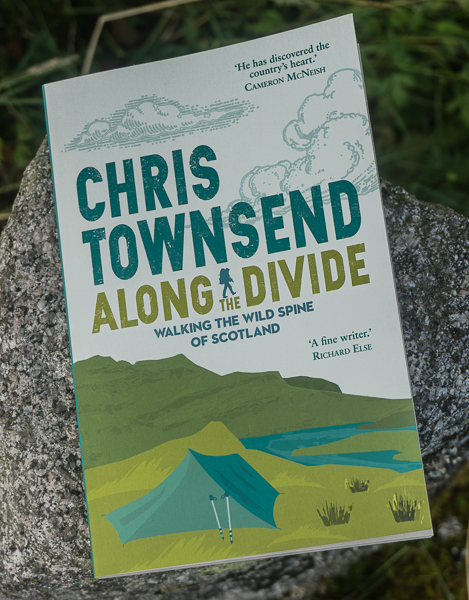 Paperback books have always been part of my backpacking load – natural history books, guide books, books to read in the evening or during dull stretches of walking. The weight adds up though – occasionally I’ve even carried a couple of kilos worth – and books are bulky too. An e-reader seemed the answer and early in 2012 I finally bought a basic Kindle (I wanted the lightest, smallest model). I took it on the TGO Challenge and it was a revelation. I usually read a book every three to four days so on a two-week trip like that I’d need at least four books. With the Kindle I could have as many as I wanted, for less weight than most single paperbacks. I no longer needed to worry about running out of reading matter and to my delight I found I could read in the rain by having the Kindle in an Aquapac waterproof case. I’d used these thin, tough, lightweight cases before but only with the addition of an e-reader and tablet to my gear has their worth really been shown. I can operate electronic devices inside the cases in the pouring rain without fear of getting them wet. They’ve become essential items. Smartphones make good GPS units but the screens are small, as they are on standalone GPS units, so you can’t see much of the map. The first tablets seemed too big and heavy for the outdoors so I never bothered with one. Then the Nexus 7 caught my eye and I soon found it just the right combination of weight and size. The big screen is wonderful but it will still easily fit in a jacket pocket. As well as ViewRanger OS maps I’ve loaded it with natural history guides, which aren’t much use on the black and white Kindle screen. I wrote about the Nexus 7 here. Yes a good pack, but hard to track down one if 6'2 in a long back length. Zepton is also a very good pack, but the extra versatility of the Nanon stands out. Thanks Martin. I missed that review of the Nanon. I'm no engineer, but I fail to see the point of DWR down. You steam-clean itdto get max loft thus stripping it of any natural oils and water-resistant properties. Then you re-coat it with a mad-made DWR which will reduce the loft again. Chris, the down in the Berghaus jackets lofts as well as non water-resistant down in jackets of similar weight so there's no disadvantage. That would make me question the water resistance. :-) I just don't see how adding a coating doesn't add weight to the down (and cause clumping) thus preventing it from reaching max loft. Of course it could just be one of those cases where real-world results aren't inline with lab results. It's definitely very water resistant and the down doesn't clump. Water does go through the garment eventually - it's not waterproof - but the down retains most of its loft and dries quickly. This is in real-world use - outdoors in wind and rain. That tent looks pretty handy. I won't wear/use down though - too cruelly obtained for my liking - I'll stick to synthetics. 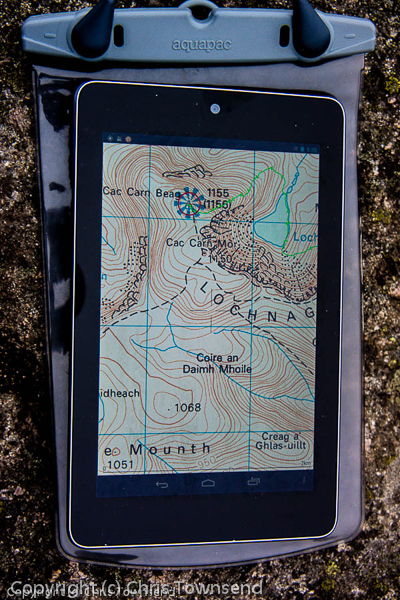 I'm thinking of getting a Kindle device for bothy nights so the waterproof case looks a must! Check out Tundra they source naturally molted down from birds nest and not killed. Chris, does this mean the Akto has been knocked off the top spot for tents? Or is the trailstar in another catagory....Tarps? That's a difficult one Paul. The Trailstar is more a tarp than a tent but more a tent than a flat tarp. I would now choose it over the Akto (or any other tent) for solo use. However if you want the full protection of a tent - zipped outer door, solid fabric inner with zipped doors - then I'd go for the Akto or the TarpTent Scarp 1. Wow..you must be highly impressed with its regidity and protection to choose it over the Akto for general solo use.. Winter too?? I'm guessing that as the weight of the Trailstar (with ooktub/nest) is similar to the Akto, your main reason for choosing it over the Akto now is.."vestibule space"?? It's much roomier, lighter weight and more stable than the Akto. Outside of midge season I just use the groundsheet with it. In really strong winds it can be pitched low, in fine weather pitched high for better headroom and ventilation. It's very versatile. 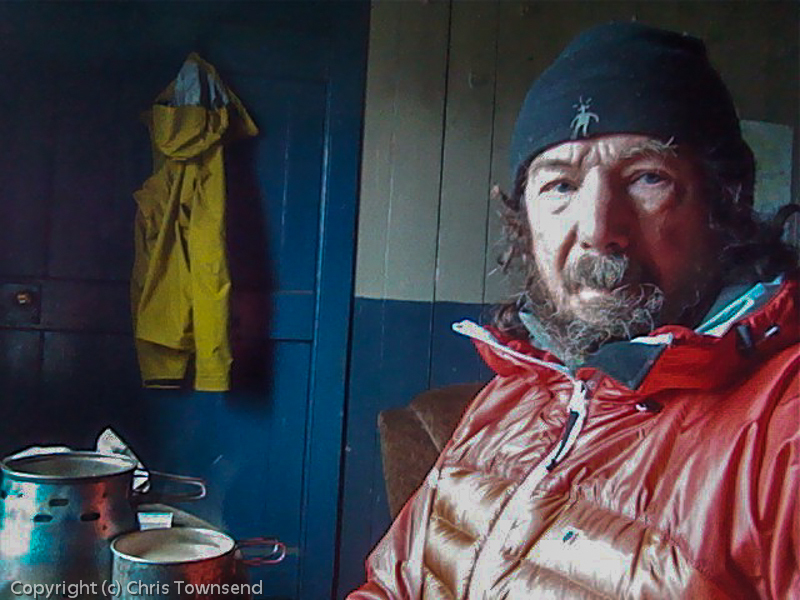 On the TGO Challenge it stood up to extremely strong winds, wet snow and torrential rain. I was impressed. Thanks Chris...All the best with your filming!! I took my iPhone on the Appalachian Trail last year and used it for (expensive) calls, to check email over wifi when in town and for photos, as well as reading books and, dare I say, the odd game of football. I did have a laptop which I 'bounced' ahead of me and picked up when I was in town to update my blog which was nigh on impossible on the phones small screen. This did push up mailing costs though and tied me down to certain town stops. I debated a tablet (iPad - the bigger one) but discounted it on weight. I have been looking at the Nexus - possibly the answer to all of my problems?! 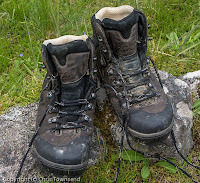 I think we will start to see a lot of thru-hikers using these in the future, especailly as the weight is bound to come down even further. Keith, the Nexus 7 is pretty light now, given the screen size. I took my HTC Desire smartphone on the Pacific Northwest Trail in 2010 and used it as a GPS, e-reader and camera on the trail and in town for sending emails, updating my blog and sending reports to TGO but not phone calls due to the cost. I rarely had any sort of signal when hiking except in the lowland area around Puget Sound. Whilst typing on the tiny screen was difficult I got used to it. And in towns with libraries I did use the computers there. The Nexus 7 has a much bigger screen and is quite easy to use. I've written long pieces on it.